Two years ago I was browsing on the internet about this school who sends their top student to Paris after graduation. And so apart from my daily gossip and rant, this blog is about how I spent the last two years chasing after my dream - to be able to go to Paris and be reunited with my best friends. It was a lot of fun but it wasn't all pretty. Be ready to see or read about the most gruesome things I had to do for the love of fashion. 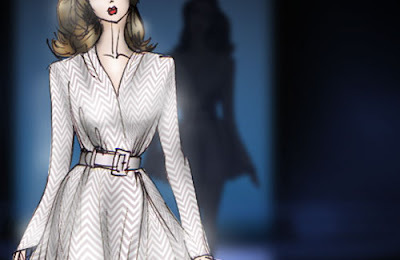 Today's images are from my illustration of the Christian Dior Spring 2010 collection.